This page last revised September 4, 2015. 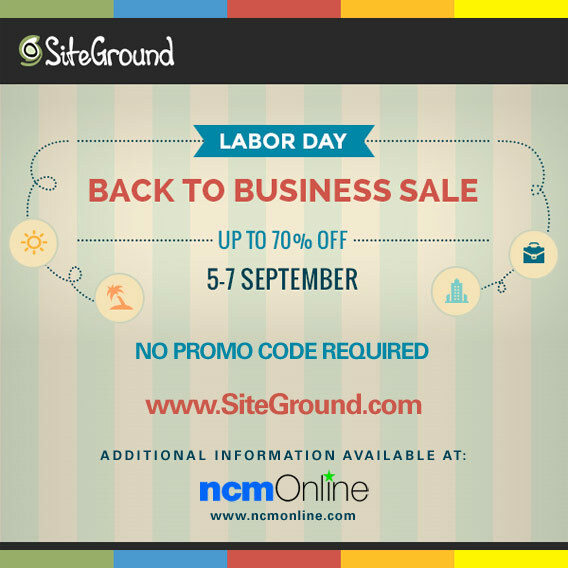 SiteGround is offering huge discounts during their Labor Day Back to Business Sale. Receive up to 70% off new hosting plans during the entire Labor Day weekend. September 5th thru September 7th only.